I’ve got a few Rome-based posts lined up but first I thought I’d share some of my photos with you. As I don’t have a big DSLR, I’ve used my trusty iPhone to take a few Instagram pictures. I hope they’ll give you a nice overview of my trip – see how many of the places you recognise! Beautiful…. I love Rome, only been there once but it certainly stays with you…. These are FAB..
Looks amazing! 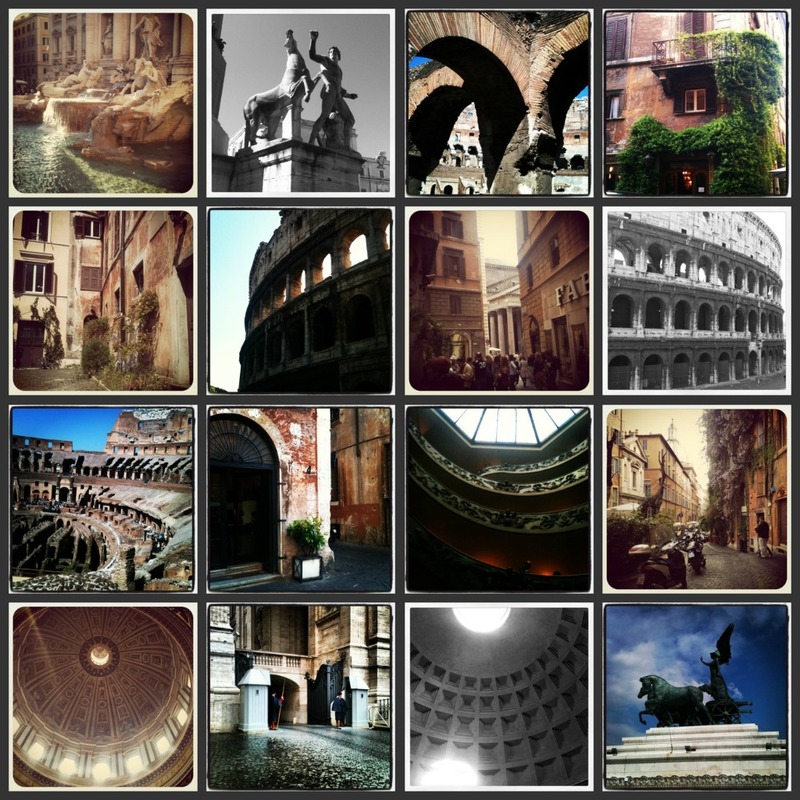 I would love to visit Rome, your pictures make it look so appealing! oh my im so JELOUSE!!! looks like your having a great time and again i LOVE your photos. Super duper photos! Rome is one of my most favourite places in the world. I was at the Trevi Fountain a few years back, and just as I sat down with an icecream to do some people watching, the guy next to me got down on one knee and proposed to his girlfriend…I know I’m a bit of a hopeless romantic, but it was just lovely! A New Bag: Mary Katrantzou for Longchamp.